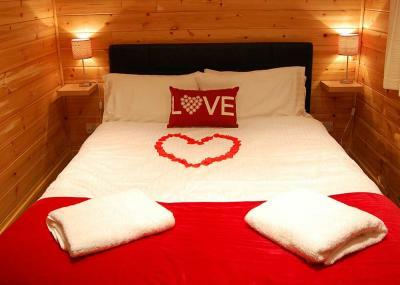 The Premium Love Cabin has a more private and larger hot tub area, is a more spacious property and has a extra large bed. There is also a late checkout included with this cabin. If you are a couple looking for a bit more space and privacy in your log cabin and hot tub then this pine lodge will be perfect for you!